Stop by our Pittsburgh Mills location on Saturday, October 27th from Noon until 4pm and meet the artist behind Chilling Adventures of Sabrina as well as many other projects, Robert Hack! 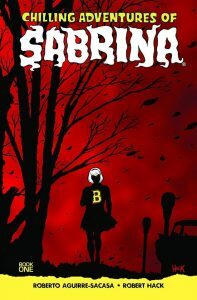 Copies of the graphic novel: Chilling Adventures of Sabrina Vol 1 will be on hand for purchase and signing. No really, he will sign anything! Don’t forget to check out the Netflix show premiering that same weekend! This entry was posted in pittmills. Bookmark the permalink.